What makes Montreal Cookie Delivery.ca so special? There are many reasons why our cookies are awesome. We only use high quality ingredients and make each cookie with lots of love. Simply put, we care about the products we sell. 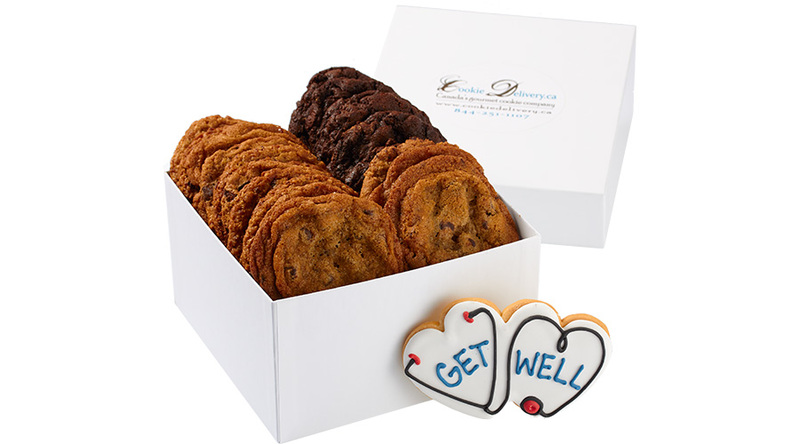 Our cookies are delicious and are the perfect gift to show someone you care. Are you able to make a delivery for today? Yes, we are able to deliver your same day order within the Montreal area if you order your gift before 9:30am. In some cases we are able to send a same-day gift ordered after 9:30am, but this will require a faster delivery time and will result in an increase to the cost of your order. Please call 514-900-2021 if you have any questions. Last minute orders must be placed on-line to ensure swift processing. Are your cookies peanut and nut free? We do not add any nuts to our cookies. However, we cannot guarantee that the high quality products that we use in our cookies have not come into contact with any nuts or traces of nuts prior to us receiving them, nor can we guarantee that the people in and out of the facility have not come into contact with nuts. Although we do not add any nuts to our products, we cannot guarantee that our products have not come into contact with nuts, and therefore may contain traces of nuts. How long in advance do I have to place my order? An order is never placed too early and usually can only be placed too late. For deliveries across Canada, order cut-off times will vary from 1 to 4 days, depending on the shipping destination. Central Ontario and Quebec orders placed by 11:30 a.m. can be delivered in two days, while orders to British Columbia need to be placed 4 days in advance as a minimum. As much notice as possible is appreciated when placing an order. Same day orders are possible in the Montreal area. Please allow a minimum of 24 hours to guarantee your desired delivery date. What if no one is home for a delivery? We encourage you to ensure that someone will be available to receive the package. However, should that not be the case, the package will be left at the requested shipping address unless you have selected the redelivery option with your order. What happens if you do not provide your name on the gift inscription card and the gift recipient asks us who send the cookies? In the event a sender does not include their name stating who the gift was from and the gift recipient calls to ask who sent the gift, we will only reveal your first name. On a weekday, we will first make every effort to contact the sender first before revealing the first name of the individual. On a weekend, we will only provide the gift giver's first name. Can I select the type of cookies that are included in my order? Yes, unless you choose one of our pre-configured gifts. 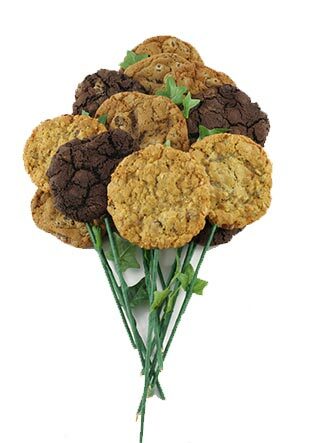 Should you wish to order specific types of cookies, then please use our build your own cookie ordering system to pick the types of cookies and packaging you wish to have included with your order. Upon delivery, how long will the cookies I order stay fresh? If you keep the cookies wrapped or tightly sealed, they will stay fresh for up to seven days. Is your website secure to place on-line orders on? We offer secure on-line shopping for your convenience and security. We do not store any credit card numbers in our website and only use the credit card number provided to process the order. This guarantees your payment information is fully secure. This website is secured with GeoTrust's 256bit SSL certificate. This means you can rest assured that communications (e.g. credit card numbers, name, address, etc.) between your browser and this site's web servers are private and secure when the SSL session is activated.